I promised last week when I shared our family Christmas tree that I would give a little tutorial on my DIY wrapping paper. For years I've wrapped presents in brown and white Kraft paper and dressed them up with satin bows, raffia, burlap, tiny pinecones, and ornaments, but this year I was inspired to dress them up a bit more after purchasing several different stencils online. There are so many great stencils out there these days and the number of uses for them is endless, including making custom wrapping paper. One of my favorite stencils I have is a brocade stencil that I purchased through Overstock for under $10. 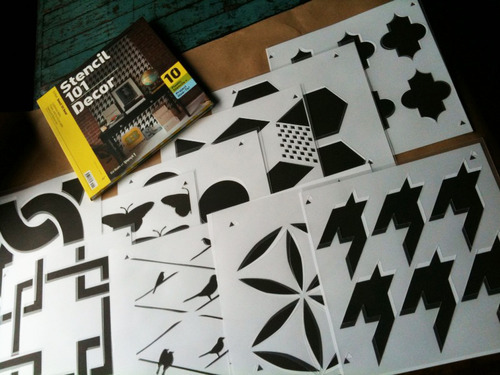 I also purchased a book of stencils for furniture and walls through Amazon last year. It was only $16 for 10 quality stencils. I love the birds, Moroccan petals, butterflies, polka dot, and houndstooth stencils that are included. Next: Roll out your paper for the desired size on a large flat space. It also helps if you pre-cut your paper for the specific box that you are wrapping before stenciling. I taped the edges of the paper and stencil down to help hold the paper in place as I moved the stencil around and minimize any paint leaking under the stencil. For a non-repeating stencil design, I used the sponge stencil brush and just dabbed the paint on without overloading the brush. After you've stenciled the amount of paper you need, just set it aside for a few minutes. The acrylic paint dries very quickly and I was able to wrap a gift within 10-15 minutes. The paint does make the paper look a little wrinkly (especially thinner paper), but this disappears as it dries. This was a chocolate box but is now re-purposed as a gift box with some of my favorite wallpaper! The possibilities, colors, and variations are endless! Your gift-wrapping looks amazing. This is definately my favourite post off my blog roll today ! I didn't know Overstock sold stencils! What a great idea! All of the packages look wonderful under your tree! Much prettier than any store bought paper I have seen this year. I am using up what I have this year and will do this sort of thing for next year. Thanks for sharing. beautiful! what a great idea! Everything looks absolutely gorgeous. Great idea with the wrapping paper. I saw you featured over at At The Picket Fence and had to stop by. Your blog is absolutely gorgeous. I am your latest follower. I would love for you to stop by and say hi and consider following me back as well. Thanks so much. Merry Christmas. Wow, what a simple idea with absolutely beautiful results! 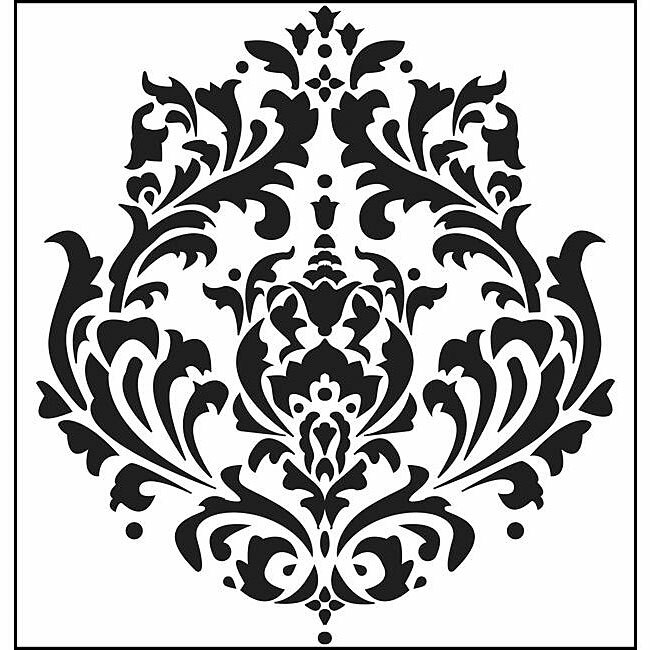 I am going to order stencils today, and I don't think I will ever use regular wrapping paper again! I agree with Sharon, you should sell this stuff! Besides us bloggers, I bet antique stores and places like that would buy it in a heartbeat!